Last month, we released the first installment of our Trade Talk series titled, “Wizards of Today’s Markets.” In it, we heard from Don Wilson, founder and CEO of DRW, regarding a variety of topics, including cryptocurrencies, regulation and market structure. In our second installment, we feature legendary trader and businessman Blair Hull. Mr. 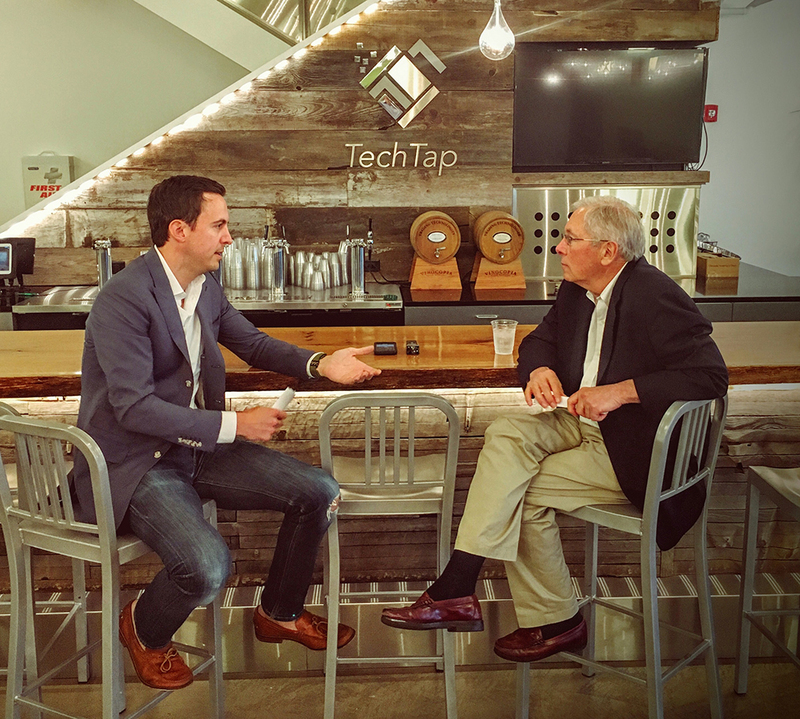 Hull, who stopped by the Tech Tap to speak with me, has had a tremendous career which includes founding Hull Trading Company in 1985—and then, in 1999, selling it to Goldman Sachs. Among his many accolades is the Joseph W. Sullivan Options Industry Achievement Award, which marks his lifetime contributions to the growth and integrity of the U.S. options market. As a reminder, this series is presented as transcripts of the conversations, which have been lightly edited for readability. If you’d like to suggest a future interviewee for this series, please email us. I hope you enjoy, and feel free to leave comments or questions. Rick: I think most people reading this blog probably know who you are, know your background, but for those who don’t, can you give me a little bit of background, how you got started trading? Blair: I actually started by playing Blackjack. My original bankroll was $120, and I’d bet from $1.00 to $4.00 at Lake Tahoe. I took a bus from Oakland, California. Over time I increased my stakes and went to the five dollar table and bet $5.00 to $25.00. So my first trading and investing experience was in Blackjack. Rick: This was at age, roughly? Blair: At age 29. I played Blackjack for five years from 1971 to ‘76, with ‘74 and ‘75 as the most significant years. I was working at Kaiser Cement and Gypsum as a middle manager at that time in financial analysis. But the reason I say that it’s an investment or trading experience is because William Sharpe, Nobel Prize winner at Stanford, defined an investment as “a sacrifice of current consumption for expected future gain” (expected future gain in a mathematical sense), and therefore gambling would be a sacrifice of current consumption for expected future loss. So as long as I was accurate enough with my counting and my strategies and had an advantage, I was an investor; I had the odds going in my favor. So that experience playing Blackjack was instrumental in me being able to deal with the emotional ups and downs of trading and understanding that I needed to get an advantage, and then I had to stay in the game. Rick: That’s really interesting. To what would you say you owe the credit? There aren’t many people who are consistently successful at gambling, or Blackjack specifically. Obviously you have a pretty mathematical mind, but why were you successful when so many others aren’t at something like Blackjack? Blair: I think it was because…I was poor! I had to do that. I didn’t have a lot of money. Rick: Out of necessity, then? Blair: It can be a quite boring thing to sit at a Blackjack table, count the cards, and bet in proportion to the advantage. Most people can’t stick through the losses. They don’t understand the role of chance in these games, whether it’s trading, investing or Blackjack. So I was able to hang in there. And part of what I did was become associated with a team in about ’74. And the team brought more discipline to the process. We all had to take exams to make sure that we were accurately counting the cards and that we knew the strategy well. Rick: Interesting. I’m sure you’ve read “Bring Down the House?” It’s a pretty fascinating story. Your team dynamics were probably slightly different than theirs. Blair: Well, there actually was a book called “The Big Player” that was published in about ’78, which outlines the whole strategy. It’s gotten very little publicity. Rick: Is that right? So I guess a lot of people who aren’t familiar with trading say it’s no different than gambling. How would you say they’re different and how are they alike? Blair: Well, the questions are, how many times do you trade? And what does the pattern of returns that you’re generating look like? Because you could measure it in terms of a Sharpe Ratio, return on risk. If the Sharpe Ratio is over two, it would be considered statistically significant, that you did have an advantage. And that’s a question—it’s a big question to determine who’s got an advantage and who doesn’t. Rick: So I’m sure that a lot of people who are just getting their start in trading look up to someone. Who did you admire or were influenced by? Blair: The person I admire most is John Stafford from Ronin Capital. He was wonderful. We were trading in the OEX, and I had mathematical models that would give us the fair value of these options. So he got some sense that I actually knew what the value of these little instruments that we were trading was, but I didn’t have as much access to the market. John had a great personality. Everybody loved him, and they’d flock around him. He sort of brought me under his wing and we would trade in this specific part of the OEX pit that soon became known as the Stafford Exchange. And one of the reasons it was called the Stafford Exchange is because of how John responded to brokers. When a broker came up to ask for a market in anything, any spread throughout the entire complex, which would have been tens of thousands of spreads, John would respond with a two-sided market. Rick: No matter how many contracts the brokers asked for? Blair: Yes, up to the position limit. Now, the price might have been somewhat ridiculous, but the broker always got a two-sided market. So when markets became extremely active, people came to the Stafford Exchange to get a market and trade. The techniques that I learned from John Stafford helped me immensely in a number of ways that happened later in my career. Rick: I worked at this small, proprietary firm, primarily active in the back-month Eurodollar spreads, and those guys down in the pit… I was always up behind the computer, of course, but I’d see their cards that they’d write out at the end of the day. Their ability to make markets on these random strips, buying two red June, selling four of these, buying five of those…And it’s not complex math, but to be able to do that really quickly in your head is a pretty awesome feat. Blair: That wasn’t my skill set. I wasn’t fast at arithmetic. But I could decipher the academic literature, and translate the formulas into a computer program that would give us values from which to trade. Blair: I could determine the logic required and then write the program to create the sheets. Rick: I also let computers make up for my lack of expediency at those types of things. For the second half of this interview, including Blair Hull’s perspective on high-frequency trading, see Wizards of Today’s Markets: Blair Hull, Part 2.